Audio Streaming Aesthetics: Who Cares? MA New Media and Digital Culture student at the University of Amsterdam. I am interested in media, both old and new. My main focus would be on online music culture, in which the tension between old and new media often arises. For instance, sharing music on the web is great. But it also makes local record stores (which I really love) disappear. And of course there is the aesthetics discussion. This MA year, I hope to do some research in that direction. 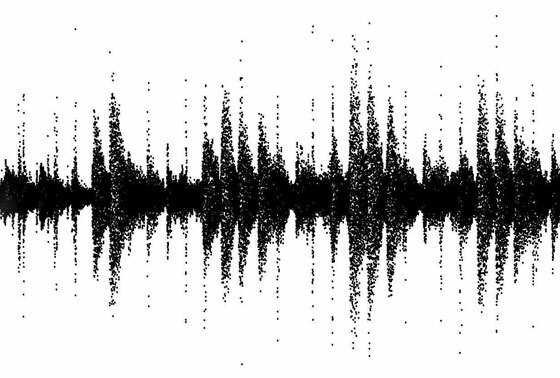 After more than a century of constantly re-inventing audio recording and playback, plenty of disagreement exists about which methods are the best. The invention of portable playback devices has certainly not made it easier to take your own pick. Since streaming became popular, this might have become even more difficult. Some people would claim that nothing beats good old vinyl records (but try listening to one on a bus). Some people hate MP3’s, but are very fond of uncompressed digital audio files (which consume a lot of megabytes). Some people don’t seem to care about audio quality at all and just want acces to as many songs as possible. Different consumption as well as distribution intentions require different audio qualities. For this reason, music streaming services have to make choices about bitrates. These choices, however, may have different implications. 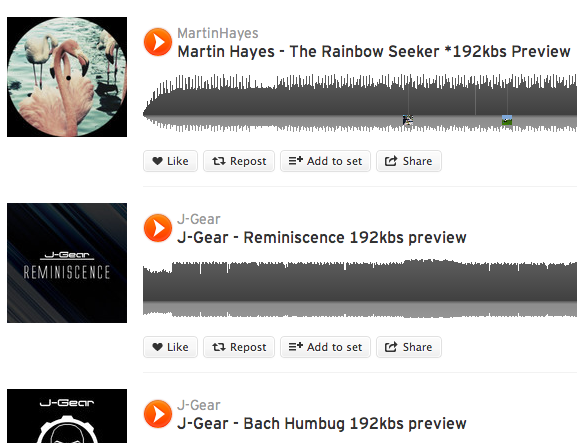 Soundcloud and Spotify (just to name a few) handle audio quality in their own way. 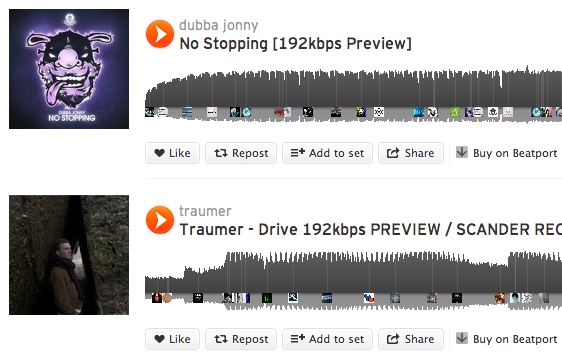 Soundcloud streams at 128kbps. The reason for the amount of compression might be economical: smaller amounts of data will be streamed so less bandwidth is used. This could benefit Soundclouds servers as well as the users experience. The audiophile is left unhappy though. Spotify has found a solution for this. Premium users are allowed to stream at 320kbps. Still a compressed format, but certainly superior to one mentioned above. The quality of streamed music does not only affect consumers though. Music producers and distributors might have a different perspective on the case. The availability of high quality audio streams makes piracy all the more attractive. Tools like soundcloud downloader enable users to rip music that was never meant to be played offline. It now converts the streamed file to a 128kbps MP3. Would Soundcloud improve their streaming quality, then high quality rips would become available as well. Some artists and record labels have shown to be concerned about the quality of the music they post online. They try to avoid piracy by uploading downgraded previews of their (often unreleased) songs. Low playback quality often isn’t audible on cheap speakers. But high end sound systems will tell the difference, so playing ripped versions isn’t an option for most DJ’s. Ironically, ‘downgrading’ to 192kbps is no exception. So some artists try to protect their music from being pirated, not knowing their efforts are useless. So this raises questions about the aesthetics of audio streaming. If some artists apparently don’t even notice the downgrading of their own music, how many listeners would? Should platforms strive to deliver music in the highest quality possible, or should their ambitions be directed elsewhere (like availability for example)? Will high quality streams discourage artists to preview their fresh made pieces of music? My suggestion is that different uses require different bitrates. Perhaps more personalized upload options combined with greater transparency could solve some problems. What if distributors (whetter artists or labels) could choose between different playback qualities, and users would directly see what bitrate they were dealing with? I realize this might be a somewhat optimistic idea coming from someone who is involved in audio aesthetics way above average. And especially for this reason, I highly encourage everyone to engage in this discussion. Good article, i’ll just release this brainfart..
Everybody with good ears and i possesion of a good monitoring system should notice the difference of quality of the music uploaded to services such as soundcloud compared to a vinyl record or CD. Is that bad? It has it’s pro’s and con’s. Is it a personal preference? Yes.. Some people might get irritated (audiophiles) but others just want to listen to the music as long as it’s decent quality! 128kbs is certainly good enough for most people. Remember that the people you are trying to reach are the same people who dance at the festival where you are playing your set. Most of them are just music lovers but no audiophiles. I think that the most important is that they just want to hear your music and often listen to it on a low fi system, streaming from soundcloud, a FREE to use platform!! It’s safe to assume, i agree with you, that many people wouldnt even notice the differences in quality. But if it was up to me i would always prefer to listen to music at the highest quality availible. It’s because i don’t like the idea of quality loss and what soundcloud compression does with the sound (heard from how my track sounds after the mixdown compared to the upload on soundcloud) the difference is there.. Not like night and day but it’s there. To fix this? Imagine the costs of that massive server increase that a company has to investing to be able to host all that high quality music.. From that point of view i understand the choice of the different platforms. On the other side i do like pops and clicks that i associoate with vinyl records for some reason. In some kind of way the compression that the online services use have some resemblance with the older vinyl stuff i listen to (lot’s of 70’s stuff. Let’s just say it has it’s charme and my music is kinda lofi anyway so it’s fine by me. And to be honest.., i started with downloading a lot of music but then i started to collect vinyl and that just beats any digital format in sound quality but also the whole experience of listening to the music. I started rebuying all the classic albums that i started to love during the years and i am still busy with that. Maybe i am one of the few souls who think this way but imo if you love music you will turn to vinyl anyway, or purchase the music you want at high quality. Piracy will always be a problem in the music industry, i don’t think it matters if there would be an increase of quality of the online availible material on services such as soundcloud.. As long as there is vinyl or CD’s it will be copied,ripped and spread around the internet. should offer higher quality download when the consumer pays for your track. Also it isnt a bad idea to give every soundcloud member for example the oppertunity to upload few minutes of high quality of audio for demo purposes.. Okay.., some stuff might be a bit oftopic and based an my points of view, just my 2 cents..
Well thanks Michel, nice to see an artists comment. As of the server space issue I should note that Soundcloud users are allowed to upload their music in the preferred quality. When downloads are enabled by the user, they become available in the same quality, whether MP3 320kbps or WAVE etc. I might have not made that clear before.